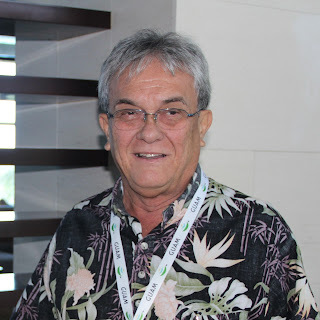 Confident that the Cook Islands ”will do the right thing“, Marshall Islands politician Tony deBrum is congratulating government ”in advance“ for legislating a shark sanctuary. The member of parliament for Kwajalein has been vocal about shark protection in his country, which banned shark finning in October last year. DeBrum, who is in Rarotonga for the Pacific Islands Leaders Forum, applauds the local movement to protect te mango. DeBrum says he has been hearing of agreements being negotiated between the Cook Islands government and overseas fishing companies, which he fears ”may threaten this whole effort“. Initially his government encountered resistance from the fishing industry, but refused to back down. DeBrum said Luen Thai – a multinational fishing company licensed to fish in both the Marshall Islands and the Cook Islands – put up a ”very strong fight“ against the Marshalls sanctuary movement. The company considered the ability to fish shark ”part of their package in being licensed to fish tuna“, deBrum said. ”(We said), you’re fishing for tuna, you’re not fishing for shark and if you get caught with shark you will be severely penalised... (They) must respect our laws and must abide by our shark sanctuary rules. He says the impact of the shark sanctuary on his country was wholly positive, and is confident that should the Cook Islands choose to protect its sharks, the tangible benefits will be ”almost immediate“. The shark sanctuary has, in fact, proven a profitable venture for the Marshall Islands. 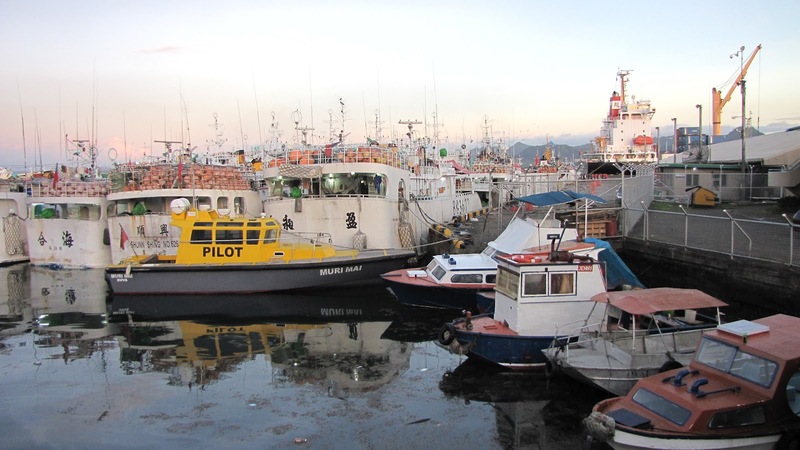 In the past six months its government has collected over US$235,000 in fines extracted from foreign vessels found to be in breach of shark legislation. Fines for violations range between $25,000 and $200,000, and offending vessels are also required to recompense the Marshall Islands for the retail value of the shark fins obtained illegally. The value of shark protection can also be measured in tourist dollars, spent by people who visit the country and its atolls just to dive. DeBrum and the president of the Marshall Islands intend to meet with Prime Minister Puna before the Forum’s end to encourage him to declare a shark sanctuary ”urgently“. ”I want to congratulate the Cook Islands ahead of time because I think they will do the right thing. They always have in the past. They will not fall, I don’t think, prey to this notion that there is such a thing as exploratory fishing. In this day and age everybody knows where all the fish are – (we) don’t need to do any exploratory fishing because exploratory fishing allows for exploitation of vulnerable species like the shark,“ he said. Conservationists on Rarotonga this week say they have met with Puna, who was fully supportive of the shark sanctuary initiative. Written by Rachel Reeves and published in Cook Islands News on Wednesday, August 29, 2012. Follow Pacific Islands Conservation Initative and Polynesia Shark Defenders on Facebook to keep up with the latest from the effort to create a shark sanctuary in the Cook Islands. Where sharks thrive, so do coral reefs. 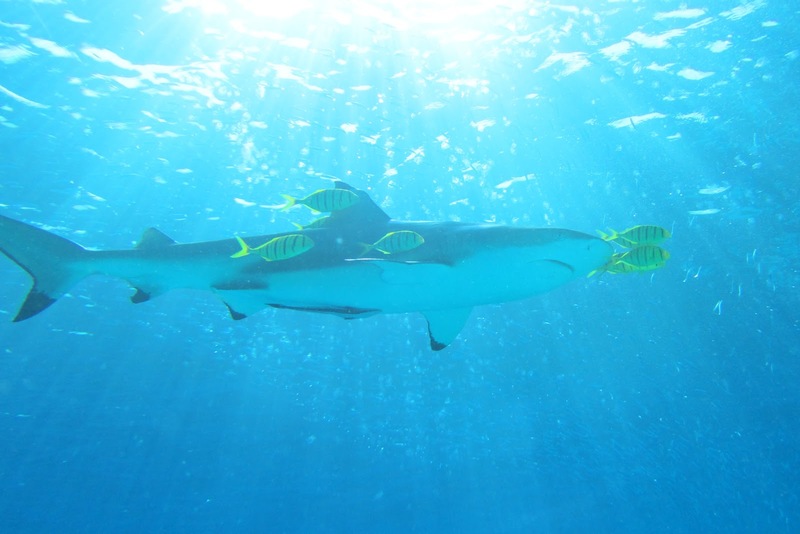 Studies in the Pacific Ocean have found that healthy coral reef systems, with abundant sea life, are dominated by sharks. Meanwhile, in areas where sharks have declined, reefs have been negatively impacted. In the Caribbean Sea, scientists have found that declining populations of sharks may also cause a drop in parrot fish populations. Herbivorous species like parrot fish are important to the health of coral reefs because they eat algae. Overgrowth of algae harms diversity in coral reef systems. As a result, sharks need protection to maintain a diverse marine environment and healthy coral reefs. AKONO TE MANGO: This is the plea Miss Cook Islands Teuira Napa is making to her people. Napa has joined the movement of local people supporting the creation of a shark sanctuary, which will effectively ban shark finning in Cook Islands waters. Pacific Islands Conservation Initiative (PICI) got the ball rolling last year, and the movement is gaining momentum as local people step up to take ownership of their sharks. ”I’m passionate about marine (life) and I think a shark sanctuary is a great idea,“ Napa said. She joins a growing team of people who are canvassing visitors at the Punanga Nui market on Saturdays, asking them to sign a petition in support of a shark sanctuary. ”We’re really going after the locals and asking them to sign our big board and we’re hoping to present that (to government) to say this is what the people want,“ Napa said. Also on board is Maine Purotu Kate Ngatokorua, who says she was able to get 60 local signatures in just one hour – an indication, she says, that local people want to protect their sharks. ”After hearing about shark finning during the Miss Cook Islands pageant I was horrified,“ Ngatokorua said. ”I really didn’t know how bad it really was and I don’t think many people know either. ”Sharks may be seen as man eaters but they have a part in our Cook Islands culture and legends and they are a part of the great circle of life. I don’t think it’s fair that a species that has been around for millions of years and survived through so much should be wiped out by us (humans). Napa, Ngatokorua and the team have been operating on Saturday mornings from a table next to Napa’s family craft shop. Emcee Danny Mataroa, who has been supportive of the shark sanctuary initiative from the get-go, on Saturday encouraged market-goers to champion the cause. Mataroa regularly talks about sharks when he emcees island nights around Rarotonga because he believes government ”isn’t listening“. ”We made an agreement with these fishing companies to take our tuna and now they’re taking our sharks and that’s not in the agreement... The problem here is the government is not hearing. ”They’re acting like they’re listening but we had a meeting where we had a consultant from overseas invited by (the Ministry of) Marine Resources and some of us in the public were invited to come and we spoke up but still no action has been taken. ”I think the best thing to happen is through this petition and the executive decision needs to be made in the Cabinet. Take the tuna as agreed. Leave the sharks alone. ”When the NZ navy came and they assisted the Kukupa with some patrolling they boarded some of these (foreign) fishing boats and saw containers and containers of shark fins. Written by Rachel Reeves and published in the Cook Islands News on Wednesday, August 22, 2012. Follow Pacific Islands Conservation Initative and Polynesia Shark Defenders on Facebook to keep up with the latest from the effort to create a shark sanctuary in the Cook Islands. During Shark Week last week the Pew Environment Group launched a new public service announcement called Sharks. It's a Numbers Game. Please share, tweet, and pin. NUKU’ALOFA — The Pacific Islands tuna industry maintains that fishing pressure on southern albacore tuna is in truth much worse than the figures suggested by scientific studies. Moreover, the Pacific Islands Tuna Industry Association stated that a fleet of new Chinese boats has made it impossible for local fishers to make a living as part of the industry. In the last two years, between 200-250 new Chinese vessels have arrived in the fishery, the association estimates, and there is now a total of about 590 Chinese and Taiwanese vessels actively fishing. The group’s chairman, Charles Hufflett, said the big fuel subsidies the Chinese pay their fleet are having a damaging effect because they make it impossible for the Pacific Industry to compete with them. Published in the Marianas Variety on Tuesday, August 21, 2012. 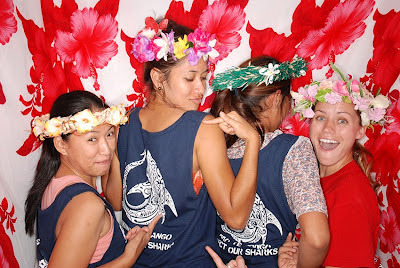 Four new public service announcements supporting shark conservation efforts in American Samoa are now posted on the Shark Defenders Youtube Channel. The videos were produced by Coalition of Reef Lovers based in Pago Pago. Please view them, and then post to Facebook, Tweet, and Pin away! 1. Donate a Facebook and/or Twitter post to show your support. By joining at the top of this page, you give Thunderclap one-time-only permission to automatically post to your account, on August 15th at 3pm. 2. Encourage your friends to join this Thunderclap. The more that join, the louder Shark Week conservation efforts will be heard worldwide. 3. Tune in to Shark Week on August 12th at 9pm ET/PT on Discovery Channel, and visit Shark Week's conservation partners websites to learn how you can get more involved. The Orlando Sentinel just published a story about a soon-to-be-released report from the Pew Environment Group and Shark Attack Survivors for Shark Conservation that looks at what species of shark are present in shark fin soup in the United States. Imagine a bowl of steaming soup with succulent morsels severed from the tail of a cruelly slaughtered manatee. It sounds awful but isn't far-fetched. Sharks are served in restaurants around the world in fin soup, even though about one-third of the 450 species are threatened with extinction. And there's no way for diners to know the type of shark they are consuming. To find that out, shark-attack survivors associated with the Pew Environment Group, working with the Discovery Channel and researchers from Stony Brook University in New York, collected samples from restaurants nationwide as part of the largest survey of its kind. Results of DNA analysis released Wednesday confirmed the researchers' fears: Many of the sharks detected in the soup samples are in trouble in the wild and, even if they get beefed-up protections soon, some may not recover for years, if ever, because they reproduce so slowly. You can learn more about Shark Attack Survivors for Shark Conservation and their work with the Pew Environment Group during Shark Week, which starts on Sunday. The Discovery Channel will premier Shark Fight, which features stories of several shark attack survivors on Wednesday, August 15 at 9:00 PM (Shark Defenders has photos from the sneak preview in Washington, DC last week). Cook Islands Shark Sanctuary: by Danny Mataroa and Tua Pittman. 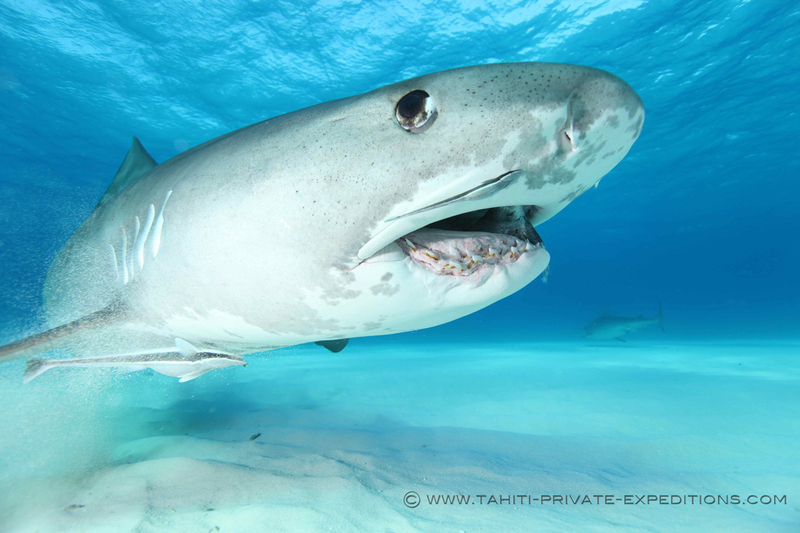 The Pacific Islands Conservation Initiative (PICI), the Rarotonga-based organisation behind the push to create a shark sanctuary in all Cook Islands waters, is excited about increasing support to protect sharks. The group has recently started to travel around the southern Cooks, engaging in community consultations about shark protection, working with schools and dispelling some media blunders about sharks, while hoping to garner local champions. Already holding letters of support from the island councils of Palmerston and Manihiki, PICI was excited to learn that a recent trip to Mangaia resulted in a similar outcome. The entire island council voted in support of the creation of a shark sanctuary, which effectively bans the commercial fishing of shark and use of gear, such as trace wire, used to target shark. 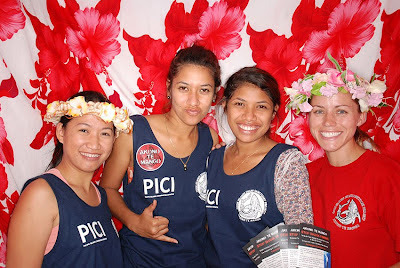 PICI programme manager Jess Cramp, who traveled to Mangaia last month, was very pleased with the outcome of her visit. When asked why Mangaia chose to support the shark sanctuary, Helen Henry, island secretary of Mangaia, said: ”The Pacific Islands Conservation Initiative (PICI) approached Mangaia Island authorities earlier in the year to rally support towards legislating the ban of commercial fishing of sharks in the Cook Islands EEZ. ”At that time, the Island Council spoke briefly about the issue but did not pay too much attention to the matter given that the shark species was considered a menace to the local fishermen. ”The lack of understanding of the animal’s existence also posed a setback for Mangaia to come on board to support the cause. However, after PICI delegation of two, dedicated officers Jess Cramp and Mitchell Thornton, arrived in person to island to promote the request and answer any queries, the sentiments of the Island Council changed. PICI has recently visited Mauke and Aitutaki, where the island councils are discussing shark protection and plans to visit Atiu and Mitiaro later this month. Published in Cook Islands News on Wednesday, July 25, 2012. Follow PICI and Polynesia Shark Defenders on Facebook for the latest on the campaign to create the Cook Islands Shark Sanctuary.